Josh Redman features in this current exhibition at Hereford’s Courtyard Art Centre which runs through h’Art until Sunday 18th September. The exhibition features a selection of international, national and local ceramists and also includes an exciting range of events including ‘have a go throwing’, ‘family pot decorating sessions’, and artist’s talks. 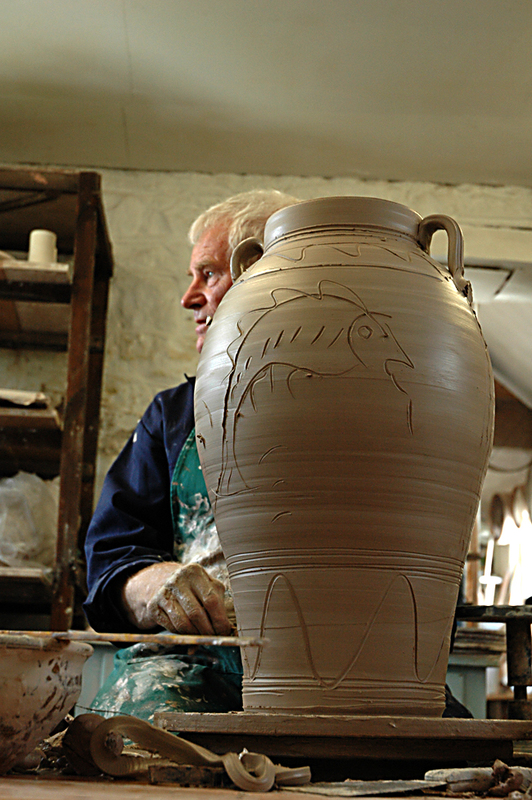 Furthermore, Josh will be demonstrating the creation of his pots and sculpture in the foyer of the Courtyard for 3 days between Friday 16th and Sunday 18th. A rare treat and opportunity to view Josh’s inimitable and energetic methods of production. For further information and booking details on other events view the Courtyard’s own website. With the broadleaf colour beginning to appear and a wee chill of an evening a sign of the end of the Mediterranean Summer we’ve enjoyed in rural Herefordshire, a little time to reflect upon an inspiring season of workshops at Wobage. Fully booked courses, some terrific new visiting demonstrators, notably Tavs Jorgensen and Clive Bowen along with an abundance of enthusiastic students. Sincere thank you to all for making such a rewarding time, also thanks to our Summer apprentice Ana Simmons for her participation and hard work. Here are a small selection of pic’s from the last couple of months, more to follow. If any participants from over the Summer have any good photos that they’d like to share, then please forward them via e-mail or CD, from which we can post them up or forward to other students. Pots selected for firing are steadily being processed and will be ready for collection later in the Autumn. We will contact you as soon as they are ready. 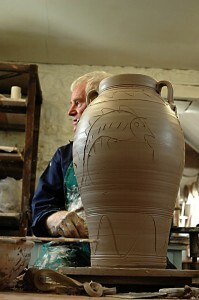 The 2012 course programme will be finalised in the next few weeks and made live on the website in November. The makers at Wobage warmly welcome you to the opening of our Autumn Exhibition of pottery, wood, jewellery and sculpture, in conjunction with Herefordshire’s Art Week. Please join us on the evening of Friday 9th September, for a glass of locally produced wine, or a ‘Springherne’ sparkling perry, made from pears harvested from the Wobage orchard. 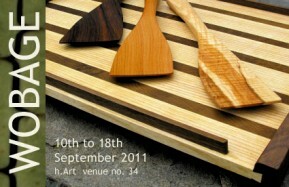 Alternatively, the exhibition then continues from Saturday 10th – Sunday 18th September 10am – 5pm. h.Art is Herefordshire’s Open Studios tenth event, giving you exclusive access to artists’ studios, workshops and special exhibitions. This year there are 103 fantastic venues spread across the whole county and borders. 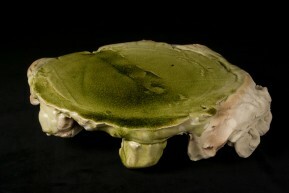 It is the perfect opportunity to meet the makers in relaxed surroundings, learn about their techniques and inspiration and perhaps buy an original artwork. For further information, pick up a pink brochure during your visit to Wobage, or visit the h’Art website.